Centre County residents have more than just Lyme disease to worry about when it comes to tick bites, as Mount Nittany Medical Center has reported an increase in cases of anaplasmosis in recent months. The tick-borne illness can causes fever, chills, headache, muscle aches, fatigue, nausea, abdominal pain, cough and confusion. Hospital officials said they are unsure of the reason for the increase in cases. Residents can take precautions to protect themselves from anaplasmosis when out in tick-laden areas. “When temperatures rise above 32 degrees Fahrenheit in Pennsylvania, you can bet that deer ticks won’t be far behind,” said Anissa Ilie, communications coordinator, Mount Nittany Health. Ilie added that with deer ticks found in each of the state’s 67 counties, it’s no wonder that Lyme disease, often transmitted through the bite of an infected deer tick, has been on the rise for three straight years. Presenting in a similar manner to Lyme, anaplasmosis has gradually made its way throughout areas of the commonwealth, she said. 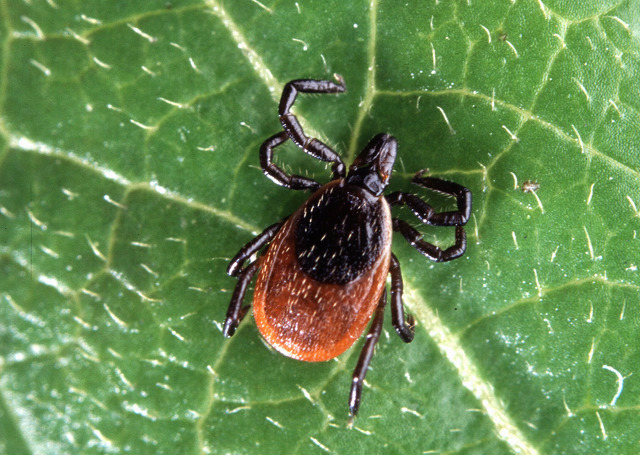 The tick population in the county and around the Mid-Atlantic region may be on the rise for a number of reasons, said Michael Skvarla, insect identification lab director in the Penn State Department of Entomology. He said there is no data to back up if the tick population is rising because no one is out there counting ticks, but there have been more reports of tick-related disease. This may be because people are now aware of tick-related illness, so they are more often diagnosed. But, Skvarla added, it is likely that tick populations are rising due to the fact that there are more deer and mice around due to deforestation and changes in habitat. These host animals will allow more ticks to thrive. He also said climate change is causing less harsh winters that allow these tick populations to increase as well. Disease symptoms normally take one to two weeks to appear. Because tick bites are usually painless, and because anaplasmosis is not visible on the skin, it’s important to note the known symptoms if you think you may have been infected. Ilie said that anaplamosis usually does not produce a rash and that the symptoms of the disease can range from mild to severe. Diagnosis can be confirmed by doctors through a blood test. Treatment normally includes the antibiotic doxycycline. ■ When walking or hiking on trails, keep to the center of the path as much as possible as ticks are commonly present at the edges of trails. ■ Use a tick repellent that contains DEET or permethrin. ■ Wear long-sleeve shirts, long pants and closed-toed shoes, and tuck pant legs into top of socks or boots. ■ Wear light-colored clothes to make it easier to spot ticks. ■ Talk to your veterinarian about tick-control options for your pets. ■ Check for ticks frequently on yourself, children and pets and remove them promptly. ■ Take a shower after spending time in an area likely to have ticks. ■ Carefully remove attached ticks from the body as soon as possible. The tick should not be twisted, squeezed, crushed or punctured, but rather carefully pulled straight out from the skin using tweezers inserted between the tick’s body and the skin. ■ Tick bites should be thoroughly disinfected after removal of the tick, and hands should be washed with soap and warm water. Freeze the tick in a plastic bag, write the date and save for later identification in case of suspected illness. For more information, visit www.cdc.gov/anaplasmosis. You may think you know KJ Hamler. Yes, KJ is lots of glitz and dancing and talking trash. And speed. 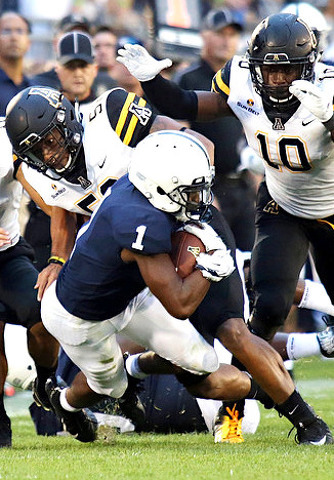 KJ was the star of spring camp, flashy with diamond stud earrings and a gold chain #1, then stole the show on hype videos and summer practice glimpses and a constant stream of teammate shout-outs.